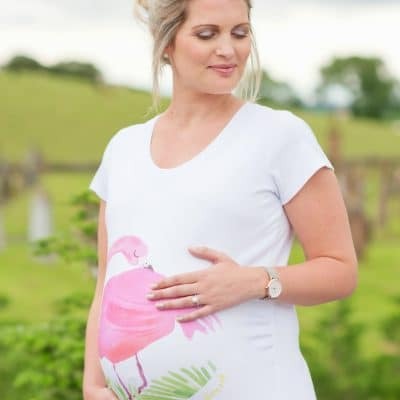 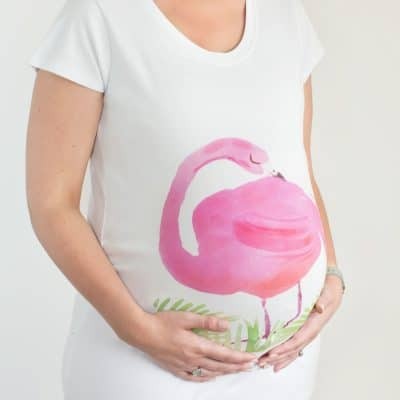 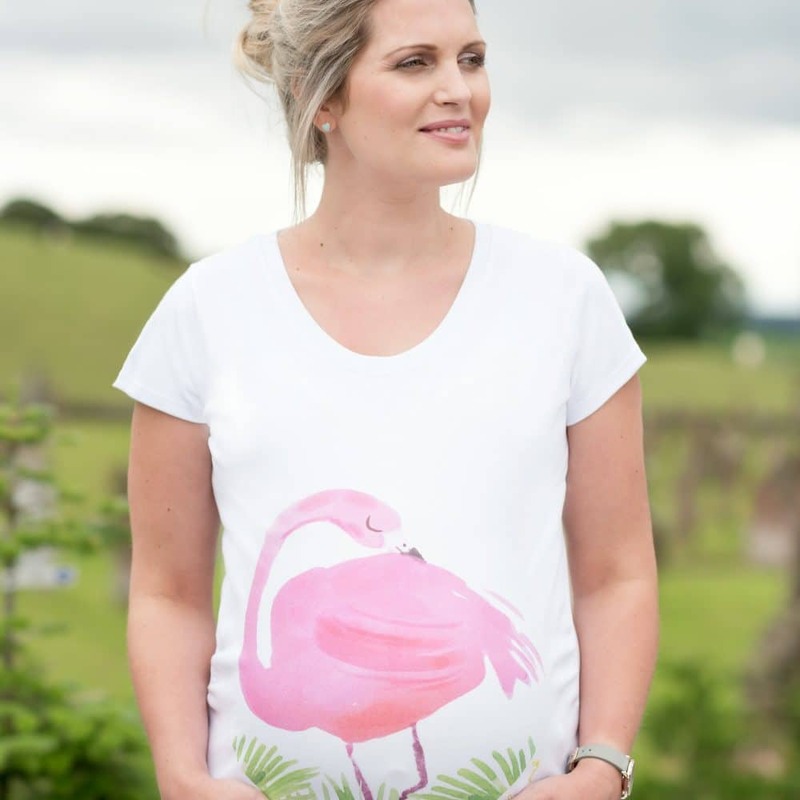 Feel fabulous in our gorgeous flamingo maternity top. 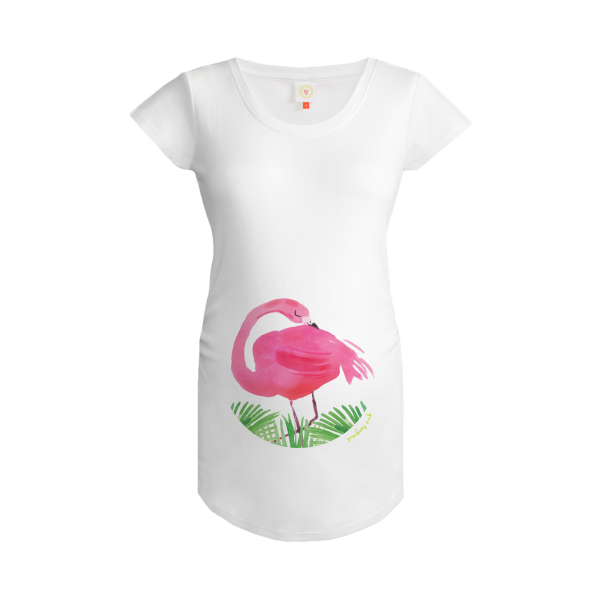 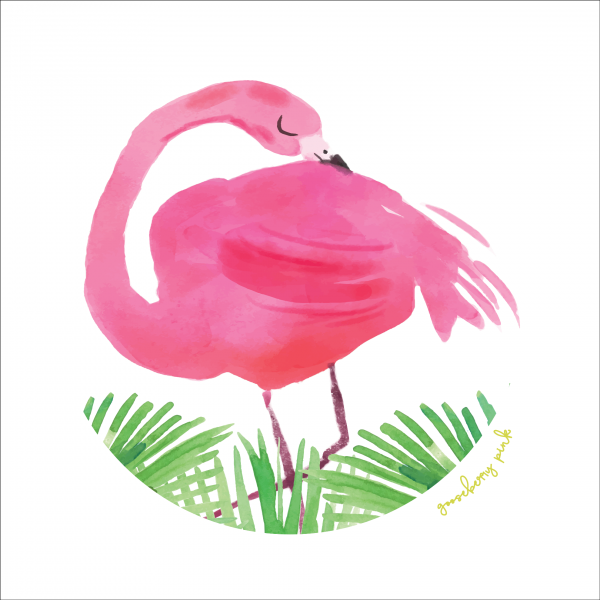 Our pink flamingo, Mambo, nuzzles its head protectively on your bump. 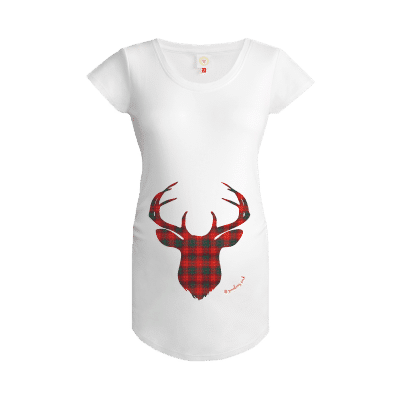 A stunning design on our white maternity tops, this is available on our black maternity tops too.